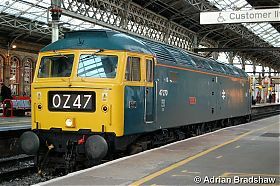 Ian Riley's Black 5 no 44871, on its first railtour duty, leads 45407 out of Preston on 30th December. 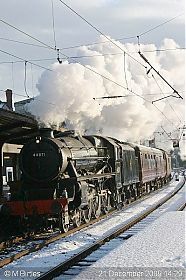 351 viewsAn outward climb over a very snowy Shap Summit was followed by a return over the Settle & Carlisle line. 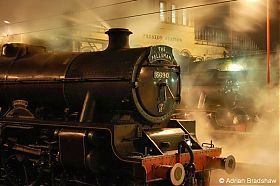 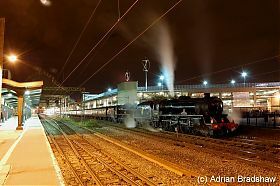 A different kind of steam double for Preston...227 viewsBlack 5s 45407 and 45231 sit off the end of platform 7 at the beginning of an all-night stay in Preston, ahead of Sunday's Tin Bath Extra tour. 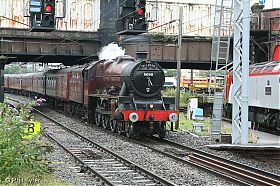 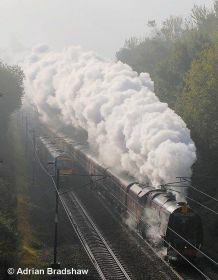 6233 Duchess of Sutherland storms past Lightfoot lane with the outward leg of The Royal Scot. 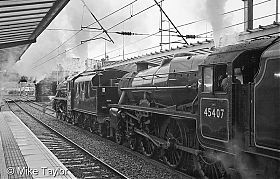 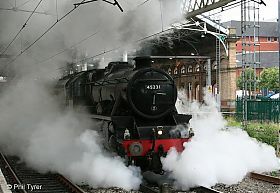 214 viewsThis will be the final trip over Shap for this stalwart of the mainline steam scene. 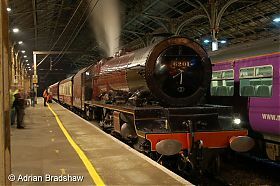 It is a great shame that we won't see this fine locomotive on the main line for the next few years. 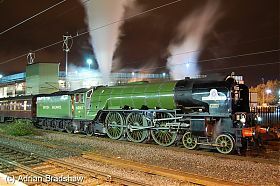 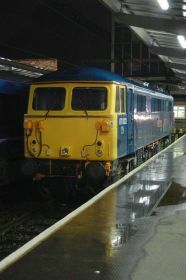 The good news is that the PRCLT will immediately begin the process of preparing the locomotive for another stint on the main-line, probably in about 5 years time. 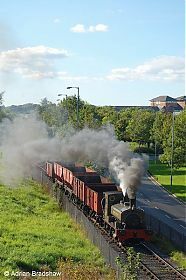 The Ribble Steam Railway held another successful Steam Gala on the weekend of 12th/13th September, with three locos in steam, including visitor "Cumbria".201 viewsThere is a gallery of the day's events in the Visitors section.